The vibrant colors of the new season are here! 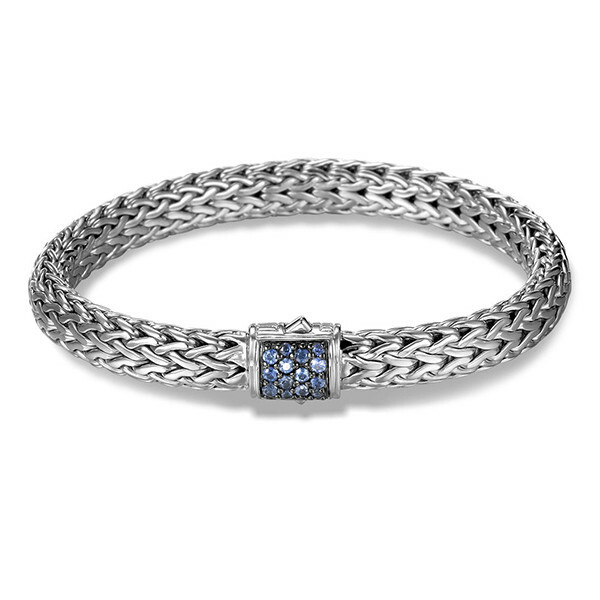 John Hardy's Classic Chain Collection features this 7.45mm width chain bracelet with a pave blue sapphire clasp. 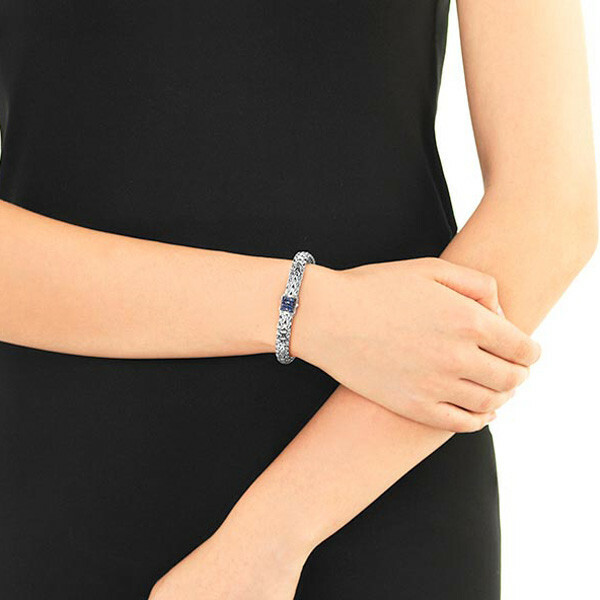 Weaving a few inches of this sterling silver chain can occupy an artisan for hours, and the effect is stunning, the flexible design fits the wrist perfectly. And this intricate technique creates a piece as comfortable to wear as it is spectacular.